Companies that offer computer rental in Los Angeles don’t continue to exist and grow without a good reason. They thrive because there is real demand for the services they offer. They serve many individuals, groups, institutions, and businesses across Los Angeles. If you are wondering why many companies are offering computers for rent, not just selling them, go over the brief discussions below. Computer rental is becoming popular for practicality reasons. There are many situations when it’s more cost-efficient to rent than to buy. Companies that host conferences, exhibits, or product demonstrations, for example, only require several computers temporarily. Instead of spending for these rarely used devices, they can simply rent them. For businesses, renting a computer eliminates major costs like storage and maintenance. There is no need to pay for the operating system license or for other applications because they are typically already preinstalled. Maintenance costs are avoided because the software and hardware maintenance are already handled by the rental company. There’s no need to worry about optimizing the computers, getting rid of malware, or doing the physical cleaning. The responsibility is with the rental company. 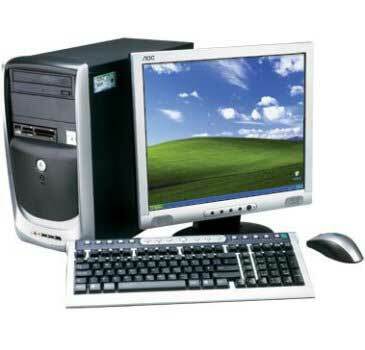 Companies that need to set up remote or temporary offices greatly benefit from computer rentals. Likewise, companies that deploy traveling executives or temporary employees can make use of rented computers to lower costs. It’s all about the frequency of use and the number of computers needed. If the computers will only be used temporarily and infrequently, it makes complete sense renting. On the other hand, if a multitude of computers are needed for regular operations and it will take time to raise funds for the capital expenditure, renting can be a highly viable option. Many businesses recognize the practicality of computer rentals that’s why the demand for this service continues to grow. Cloud computing is becoming greatly popular nowadays and computer rentals can be likened to how cloud computing works. It allows anyone to have access to a computer in most cities or towns worldwide. If you travel to Los Angeles, for instance, and you need a computer for work, you can simply head to a computer rental shop to get the computer set you need. Once you’re done using the computer, you can just return it to the shop and not worry about storing it or bringing it along with you. If you move to another city, you can simply rent another computer when you need one. It’s a convenient service that is notably versatile and scalable. The computer rental business is likely to grow even further as laptop and desktop computer sales drop. Consumer interest in buying laptops and desktops is waning but these devices are still irreplaceable when it comes to doing serious and productive work. Those who own phablets and tablets are likely to still require laptops or desktops at some point and renting them is a good option.